The market for over-the-top (OTT) TV streaming devices is hot, but the Apple TV is not. That's the message from "CE Vendor Quarterly Analysis Apple (AAPL): Q2 2014," a survey created by market intelligence firm Strategy Analytics. The report finds that shipments of OTT streaming devices are predicted to rise 54 percent this year, attributable to a strong demand for low-priced TV OTT solutions. Apple isn't riding that wave, however. Strategy Analytics reports that the Apple TV's market share has plummeted 11 points, from 38 percent in 2012 to 27 percent in 2014. In the second quarter of this year, Apple TV sales have slowed to a 12 percent annual growth rate, with Apple selling 1.9 million units. Thanks to strong competition from Roku, Google, and Amazon, Apple will need to work hard to turn things around. "Google and Amazon have staked their claims on the OTT streamer segment and now the aging Apple TV is lacking features like voice control, gaming support, and, most of all, an open app store," notes David Watkins, service director for connected home devices at Strategy Analytics. "Many of those features are rumored to be part of the next generation Apple TV, but delays are impeding its chance to succeed before Google's Android TV and Amazon's Fire TV grab a foothold in the market." Apple could outpace its competitors if the next generation Apple TV offers 4K streaming video and integrated pay TV services, notes analyst Eric Smith, the study's author. If this news sounds familiar, StreamingMedia.com reported last month on a Parks Associates report that found Roku has a commanding lead over Apple. The full Strategy Analytics 18-page report sells for $1,999. Apple TV views rise sharply, but next week's WWDC probably won't include a new Apple TV and subscription service, after all. If a news report is correct, Apple will soon lure cord-cutters with a bundle that includes most of the broadcast networks. Many Americans will find a set-top box under the tree this year. Roku is the category leader, followed by Chromecast. Apple is known for controlling the customer experience, so creating its own delivery infrastructure was the final piece of the puzzle. 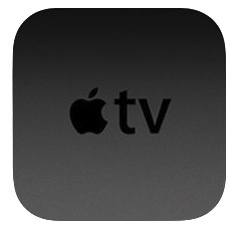 Pay TV customers can get live access to Disney feeds; Apple also adds Smithsonian, Weather Channel, and Vevo. Which low-cost set-top box is best? Which offers the simplest set-up, most channels, and cleanest interface? Watch this to find out.